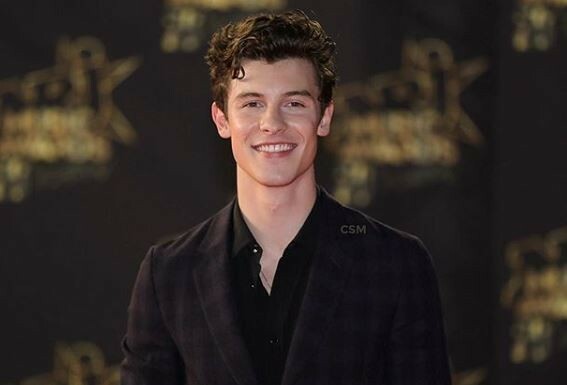 Shawn Mendes said the rumours about his sexuality makes him feel the need to prove he is not gay. Shawn Mendes revealed he regretted letting Taylor Swift share a video of him having glitter make-up applied to his eyes backstage, sparking rumours that he might be gay. The Canadian singer talked about the pressure he faces to discuss his sexuality. During an interview with Rolling Stone magazine, the Stitches hitmaker shared that the incident happened when he joined the Red singer on her Reputation Tour in Toronto, Canada. Swift later messaged Shawn to make sure she had permission to share the clip. He agreed to it as well. However, he regretted it soon. "I felt sick. I was like, 'F**k, why did I let her post that?' I just fed the fire that I'm terrified of," he told the magazine. "Maybe I am a little more feminine—but that's the way it is," he added. "That's why I am me." "In the back of my heart, I feel like I need to go be seen with someone — like a girl — in public, to prove to people that I'm not gay. Even though in my heart I know that it's not a bad thing. There's still a piece of me that thinks that. And I hate that side of me," Shawn shared. "I thought, 'You f**king guys are so lucky I'm not actually gay and terrified of coming out.' That's something that kills people. That's how sensitive it is. Do you like the songs? Do you like me? Who cares if I'm gay?" he went on. This isn't the first time In My Blood singer has addressed rumours about his sexuality. In 2016, he posted several videos to his Snapchat story regarding the topic. In one video, he stated: "First of all, I'm not gay. Second of all, it shouldn't make a difference if I was or if I wasn't. The focus should be on the music not my sexuality."